When you search for products in Google there are several ways that retailers can choose to target you. Aside from the paid search ads at the top of the page, there are also Google Shopping results which are determined by the relevance of the products stored in the Merchant Centre. A high optimisation effort is necessary to successfully work with Google Shopping, so up until this week Google had compensated retailers by offering this service for free. But as of this week Google Shopping results in the US will only come from merchants who are Product Listing Ads (PLA) customers. The same model will be rolled out in Europe early next year. PLA has proven to be a useful tool for merchants and on average features twice the CTR of comparable text ads in AdWords. E-business consultant Dan Barker says that the new system should make Google Shopping more transparent and allow users to target the kind of traffic and shoppers that they want. 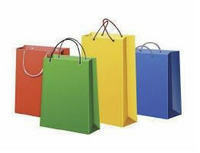 If Google Shopping traffic works well for you at present, it’s difficult to do much to get more of it. As a paid service, you’ll be able to pay money and spend time on optimisation to increase that traffic. On the downside, Barker said companies now have to pay for what was previously ‘free’ traffic, which often this hits the little retailer more than anyone else. Small shops may have got a regular trickle of orders through Google Shopping, and many won’t even realise this is where their sales were coming from. Now that traffic will disappear unless they pay for ads and spend time understanding it or pay even more for someone else to manage it. The logic of PLA is based on the AdWords bid mechanism and CPC bids are managed through an AdWords account. However, in contrast to AdWords campaigns, Google selects the results based on whether a product is relevant to the respective search query, rather than on keywords. It does this using information from the Merchant Centre, so this data is vital for a successful PLA. Google places great emphasis on the quality of data it supplies to consumers, so merchants need to ensure their product information is thorough and up-to-date. This means making sure that the product description is as detailed and relevant as possible and that product prices are correct and up-to-date. Products-Up says that without these prerequisites, merchants will be regarded as unreliable and their products will not show up, or only on a bad position. Merchants should use information on margin, CPC and conversion rates order to make targeted bids for their product groups. Don’t waste any money on poorly performing products and exclude these instead. The Quality Score is a measure that Google attaches to all websites based on a number of factors including landing page relevance and CTRs. For landing page relevance there must be a direct correlation to the target URL in the shopping feed while the CTR is rather determined by the trustworthiness of the brand. Another way of improving your relevance with Google is to apply for its Trusted Stores Program, although this service is currently only available in the US. It is free to apply and to be accepted merchants must meet criteria defined by Google. What must I observe in bidding for PLA? Merchants should avoid bundling too many products in one AdGroup as it is important to take into account the different profit margins of each item. Instead, products should be segmented based on the above criteria, as this can help to achieve CTRs and conversion rates and lower CPCs and CPAs than in classical AdWords advertisements. Re-targeting and paid search coming to Facebook. Will you be ready? Facebook has been making great strides in further monetizing their platform. With stock prices down and a few recent acquisitions under their belt, it’s becoming increasingly more necessary to build onto the already pre-established advertising capabilities. With much focus being on ‘organic growth’ and ‘engagement’ stemming from their Sponsored Story Ad Units, it only makes sense to compliment the organic with Paid Search. Many users utilize Facebook Search to navigate to brand pages – Facebook is now making it easier to have a specific brand page bubble to the top for keywords, and also brand terms. When a customer decides to add an item to their basket, what should an e-commerce site do? Should it allow them to continue shopping, send them straight to the shopping basket page, or provide the choice? This may depend on the type of website, but there is a balance to be struck between encouraging the customer to complete the purchase as quickly as possible, and making it easy to add extra items. I’ve been looking at several websites to look at button design, the language used on calls to action, and the transition between a customer adding items and the checkout process. While mobile is presenting some tough monetization challenges for companies like Facebook, it’s increasingly looking like a boon to others. Google, for instance, is seeing spending on mobile search ads skyrocket, and it’s working hard to improve its mobile ad offerings. In many cases, its efforts appear to be showing signs of success.